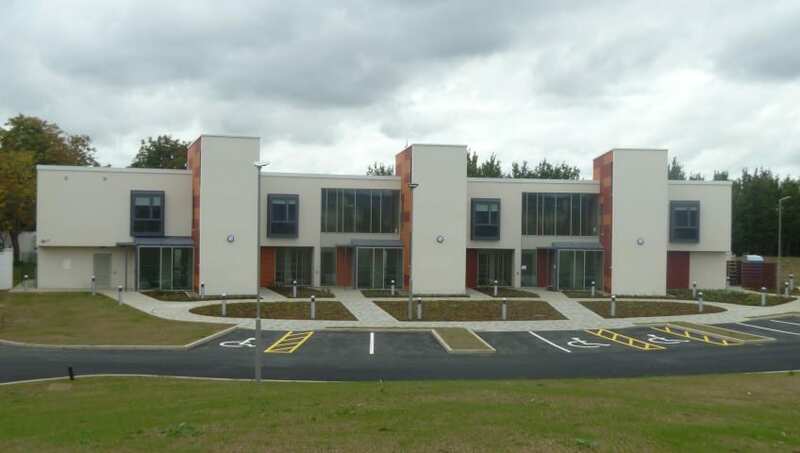 St Loman’s Community Residences – Duggan Brothers Ltd. This development consisted of a new two storey 17 en-suite bedroom community residence and associated general site works and landscap­ing on St. Lomans Road, Palmerstown, Dublin 20.. The building also comprised wheelchair accessible bedrooms, living space, dining rooms, kitchens, cloakrooms, laundry rooms, etc. The internal floor areas of the building is approximately 532M2 on ground floor, 383M2 on first floor and 50M2 CWS tank room on a third floor. The structure consists of structural block / part reinforced concrete / part structural steel frames, with precast concrete hollow-core first floors, precast concrete stairs, insulated composite roofing panels and built up roofing systems, insulated external render, fibre cement rain screen cladding and high performance aluminium window and curtain walling systems. 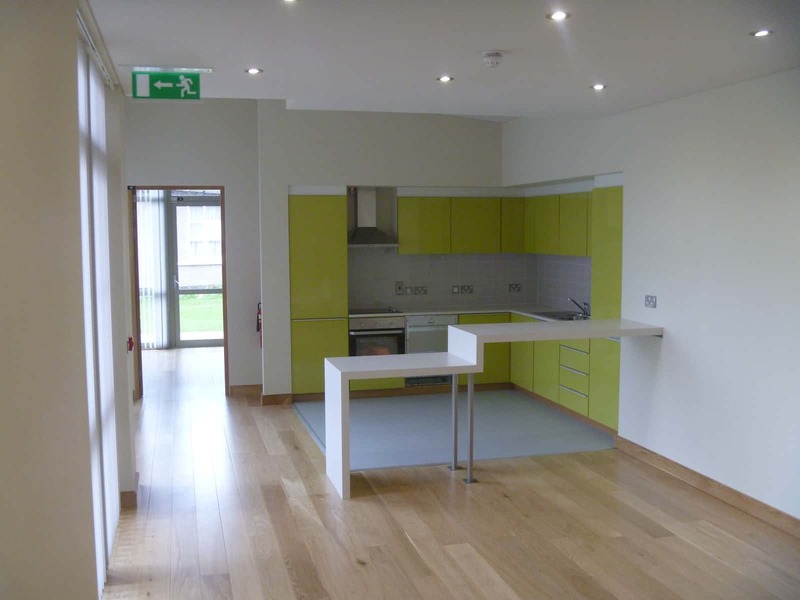 The internal fit-out was to a high specification and included an extensive array of oak fire rated glazed screens, fitted kitchen, bedroom, laundry and cloakroom units. Floor finishes included sheet vinyl, marmoleum, wooden floors and medical grade carpets. 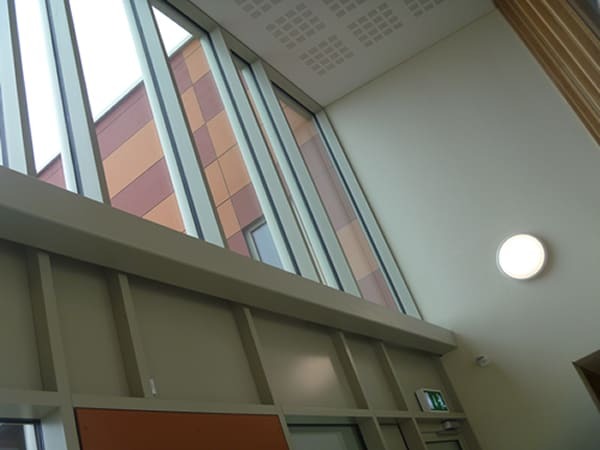 Due regard to anti-ligature principles was paid to the design and construction / installation of the building fittings and fixtures including, light fittings, ironmongery, curtains / blinds, joinery, furniture, sanitary ware, etc., This requirement was introduced to the project at the commence­ment of the internal fit-out and consequently presented many programme and cost challenges.